Harmony is a 1,000-acre master-planned community with home sites for 2,600 single-family homes from award-winning home builders. The tree-lined community also offers more than 35 acres of prime commercial property including a new H-E-B. 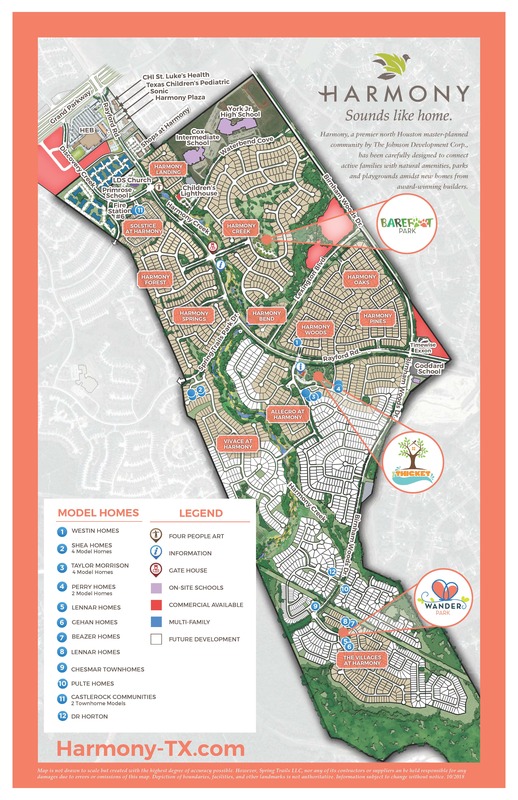 Click the map below for a better view of our community's master plan.